Games? We love games! Board games, video games, card games, fantasy role playing games—we'll probably play hundreds of different games throughout our lifetime, but what about the people behind the creation of these games? I mean, whose idea was it to have a plumber save Princess Peach? And who thought up wizards, dragons, and orcs, creating a whole fandom around interactive stories? We have a couple of new graphic novels that can fill you in on that! 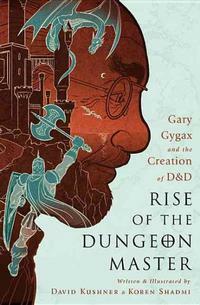 This graphic novel tells the story of Gary Gygax, co-creator of Dungeons & Dragons, one of the most influential games ever made. Like the game itself, the narrative casts the reader into the adventure from a first-person point of view, taking on the roles of the different characters in the story. Gygax was the son of immigrants who grew up in Lake Geneva, WI, in the 1950s. An imaginative misfit, he escaped into a virtual world based on science fiction novels, military history, and strategic games like chess. In the mid-1970s, he co-created the wildly popular Dungeons & Dragons game. Starting out in the basement of his home, he was soon struggling to keep up with the demand from players. But then, as with all success stories and Behind the Music episodes and E! True Hollywood Stories … that’s where things took a turn. I don’t want to spoil it for you, but let’s just say some advocacy groups got pretty dramatic. In this graphic novel, New York Times bestselling author Box Brown delves deep into the role games play in art, culture, and commerce. 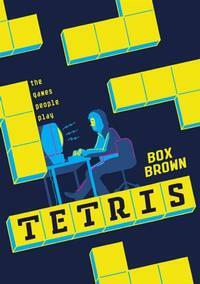 Soviet-era software programming, secretive meetings, bidding wars – the history of Tetris reads like a spy novel... a spy novel that changed video game history and for a while made it so that I saw the funny four-cubed shapes falling anytime I closed my eyes in middle school. 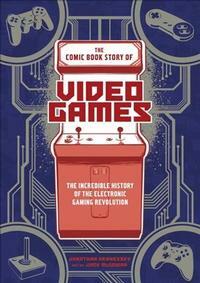 A complete, illustrated history of video games—highlighting the machines, games, and people who have made gaming a worldwide, billion dollar industry and artform. Because why focus on just one game when you can focus on ALL of the games? Here at the Free Library we love games AND comic books! 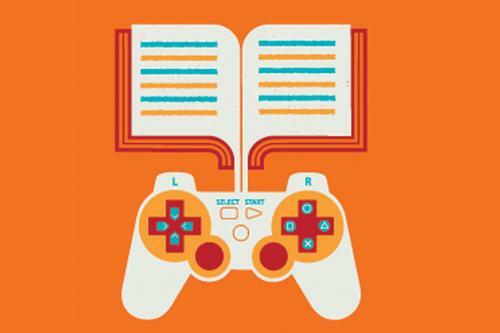 Add a Comment to Get Your Game On with These Video Game-influenced Graphic Novels!